Give the students an opportunity to use and develop their talents through leadership, servitude, and new experiences in a safe environment. Allow students to gain experience and confidence in ministry, whether it’s singing, preaching, praying, or serving others. View our Brochure PDF for some general information! We have also included the Program Outline PDF you to review. We kindly ask that you join us in praying for our students, instructors, leaders, host families and administration. Feel free to view our Prayer Requests. On their first day, students will attend an opening ceremony. All students, group leaders and administrators will be present for the opening service on: Sunday, July 15th at 12:30 pm at Evangelical Pentecostal Church, 3470 Huntingdon Pike Huntingdon Valley, PA 19006. Students are requested to arrive at 12:00 pm, at least 30 minutes prior to the service. After the ceremony, students and guests will be served lunch. Students will then have an introduction to the program, after which they will have an opportunity to meet their host families. The orientation will take place on Sunday, July 15th at 4:00 pm at Evangelical Pentecostal Church, after the opening ceremony. During the course of the program, students will have the chance to experience many exciting activities, including a picnic with their host family, administration team, and parents. The picnic will be hosted by EPC Teen Bible School on Saturday, July 28th at 2:00 pm at Core Creek Park, 901 Bridgetown Pike, Langhorne, PA 19047. Parents are encouraged to attend and meet our team! On their last day, students will take part in a closing ceremony, where they will receive their diploma and awards. The graduation service will be on: Sunday, July 29th at 12:30 pm at Evangelical Pentecostal Church, 3470 Huntingdon Pike Huntingdon Valley, PA 19006. Family and friends are welcome to attend! After the ceremony, students and our guests are invited for lunch. Our Services are streamed live! 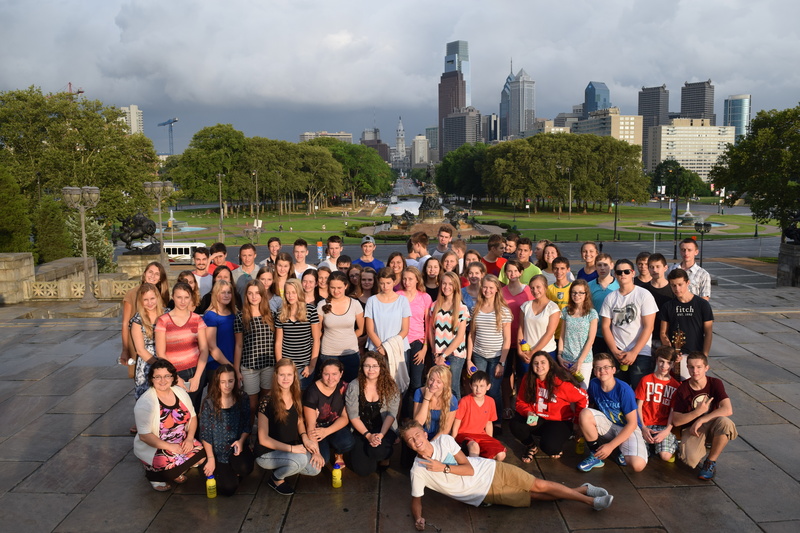 Family and friends can watch our students progress through the EPC Teen Bible School. Tune in at epcphila.org every Friday night at 7:00 pm and Sunday at 12:30 pm and 7:00 pm for a live streaming of our students participating in services.